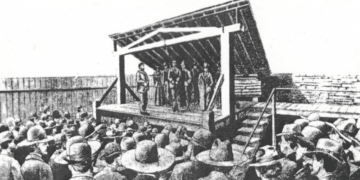 The following article is a free excerpt from a lesson in our Ancestry.com Crash Course. 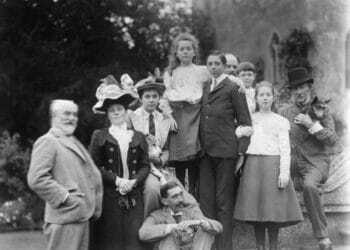 This course is an unofficial guide from Family History Daily. 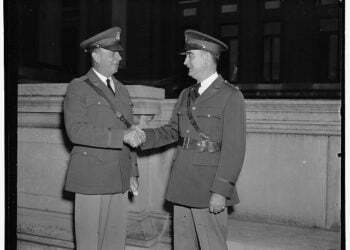 We are not associated with Ancestry except to act as an affiliate partner – which means we may earn a small commission to support the work of our site when if you choose to subscribe to their services from a link on our pages. 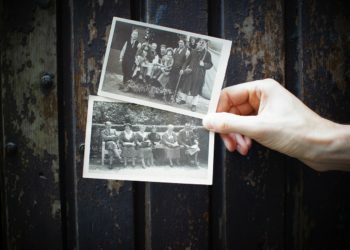 While just about all of us have used Ancestry.com at some point, very few have really uncovered everything they can from Ancestry’s massive databases. With so many records and resources it is incredibly easy for vital records to get buried. You might be surprised by how many “brick walls” are broken down and “missing” records located by utilizing a new set of advanced tips and search tricks. Our online course utilizes 21 fun, hands-on lessons to teach you this information quickly and easily. You can sign up for the course at the end of this preview lesson. 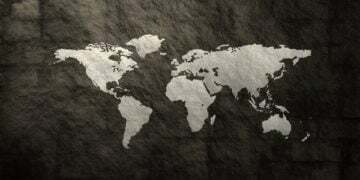 If you do not have a current Ancestry.com subscription you can still put this information to use with a free 14 day trial here or by following the instructions in the Ancestry Crash Course for utilizing their free record collections. 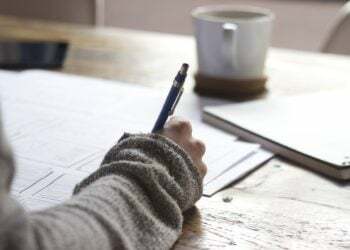 Overall, Ancestry does a fairly good job of turning up records – especially when you help it along by utilizing your own skills as much as possible. But Ancestry’s search definitely has some limitations and, in some cases, these can be very detrimental to your research. 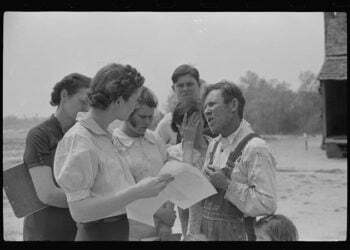 Most of these limitations are not intentional on Ancestry’s part, instead, they are often a result of Ancestry’s attempt to help researchers along. 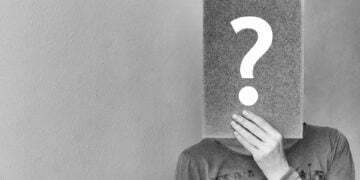 Ancestry has developed numerous helpers in search forms that generally make our job as researchers easier, but some of them can inadvertently cause major issues if used incorrectly. One of these helpers can cause so many missed records that we felt it was important to call it out in its own lesson – the location autocomplete. When we enter information into one of Ancestry’s search forms we often include a location. This information is a vital part of narrowing down our results and helping us locate records that have the greatest likelihood of being relevant to our person in question. You have probably noticed that as you start typing a location into a location box Ancestry begins to autocomplete for you. This is extremely convenient of course. It helps ensure that we have the name of the location spelled correctly, adds a county to a city search and helps us locate places we may not remember the name of ourselves. It also shows us possible related locations. But the autocomplete can also mislead us and cause us to miss relevant records. This can happen when we begin a search for a name and lean too much on the autocomplete to find an answer for us, when we use the autocomplete to assume a location without verifying our sources carefully, or when we are not cautious in making sure that the place we are choosing is the place we intend. It would not be terribly difficult, for instance, to confuse Walnut Grove, North Carolina with Walnut Grove, South Carolina if we were in a hurry. But the bigger concern actually stems from the way record collections format their locations, and the way Ancestry autocompletes the same locations for us. 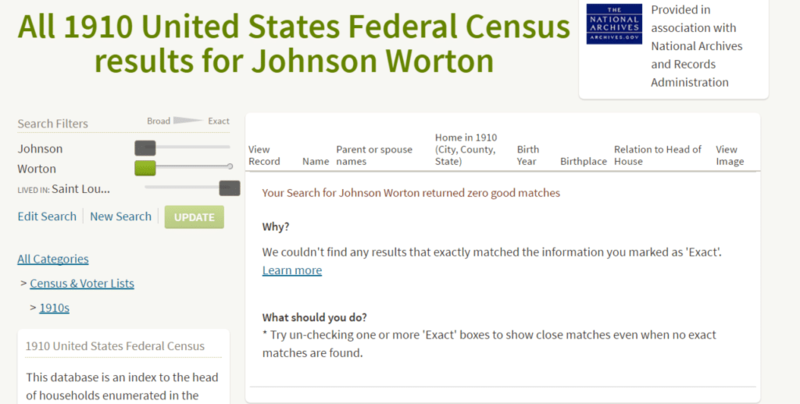 In this example we’re going to research Johnson Worton in the 1910 Census collection. We suspect that Johnson lived in Saint Louis, Missouri during this time period and we would like to see if we can locate him. Let’s see what happens when we search for him in this city directly in the 1910 census. We type in Johnson Worton, leaving the searches inexact, and then type in the city. Ancestry now begins to autocomplete our search. Here’s what we see. We select Saint Louis, Missouri, USA – the first option – leave it inexact and conduct our search. What we get are about a 1000 results. But as we begin to scroll through them we notice that the vast majority of them appear NOT to actually be from Saint Louis. We check to make sure we used the “Lived in” search box (the appropriate box to search for someone living in a certain location during a census year). We did. 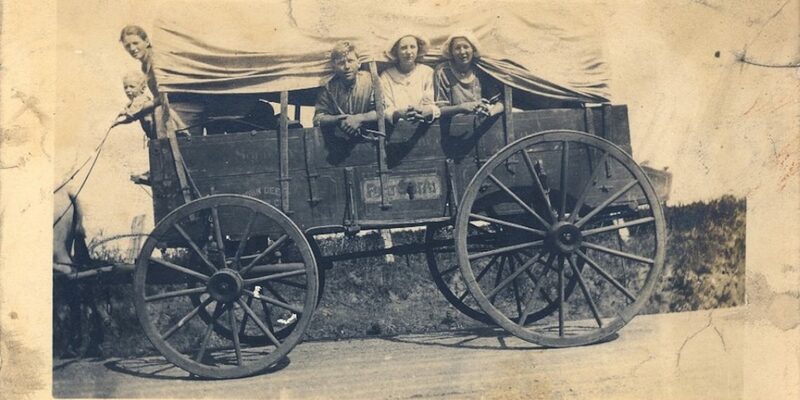 Since our goal with this 1910 Census search was to utilize a narrow data set based on location (so that we can try some creative techniques to locate our ancestor) we don’t want to see these other locations at all. We’re hoping that by making the city exact we can find our elusive ancestor despite any name variations. The “exact” feature allows us to make sure we’re only looking in Saint Louis. Let’s try our search again. This time we decide to make our city exact, to weed out these unwanted locations. When we do this though, we get no results. This seems rather unusual, given how large of a city Saint Louis is – even in 1910. Next, we try searching only for Worton in this city, no first name. But, again, we get no results. This seems highly unusual. Certainly you would expect that there would be some possible matches to the name Worton in such a large city – especially when our last name field is set to inexact. We decide to do a test. Let’s search only for the location with no other entries in the form. This should bring up every person who was recorded as living in Saint Louis in 1910. 7 results? And all of them in Minnesota. Now we know that Ancestry isn’t listing the people from this place correctly. What can we do? A loose location search wasn’t giving us good results, and neither was an exact search. We need to be able to see only people who lived in Saint Louis. We could try searching for St. Louis or other name variations (we did this and the results were still very mixed with other locations or returned no results) OR we could try another strategy that has worked for us before. We need to find out how the record collection listed this place and search for that. Every record set used its own methods for listing place names and Ancestry doesn’t always show us all of these options in its autocomplete. 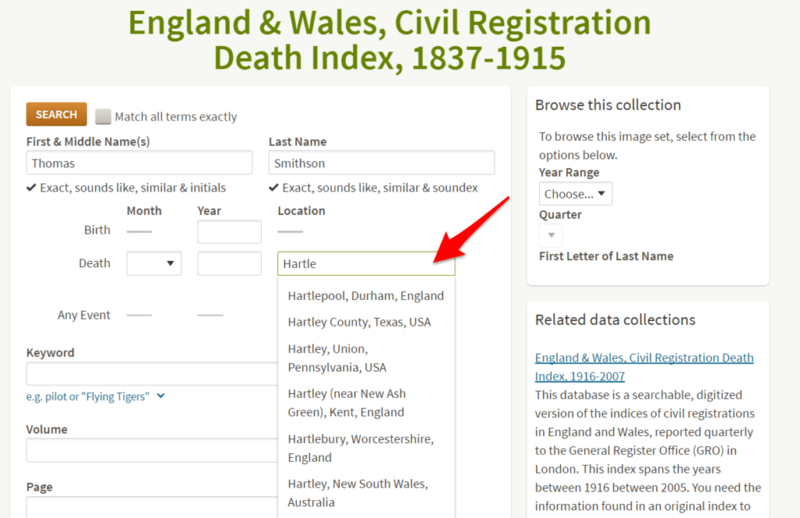 Because place names can vary quite a bit in some cases, and names or spellings sometimes changed as did conventions for shortening names, we need to understand how exactly the collection we are searching has listed the place we are targeting. We may even find it listed our place more than one way. We can do this a couple of ways. 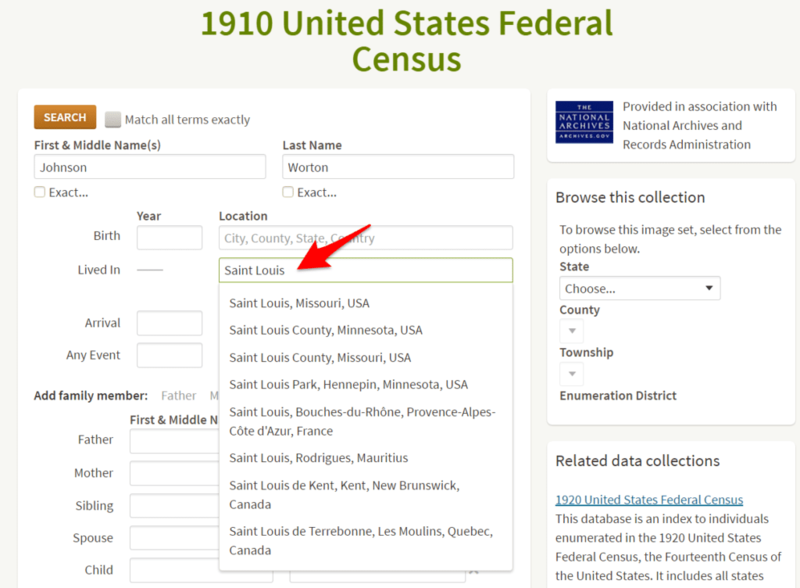 Since Saint Louis is a very large city we guess that if we search for all records in Missouri in the 1910 Census that Saint Louis is bound to come up pretty quickly. We’re right, the third listing is for a person living in Saint Louis – and we have now found the source of our issue. 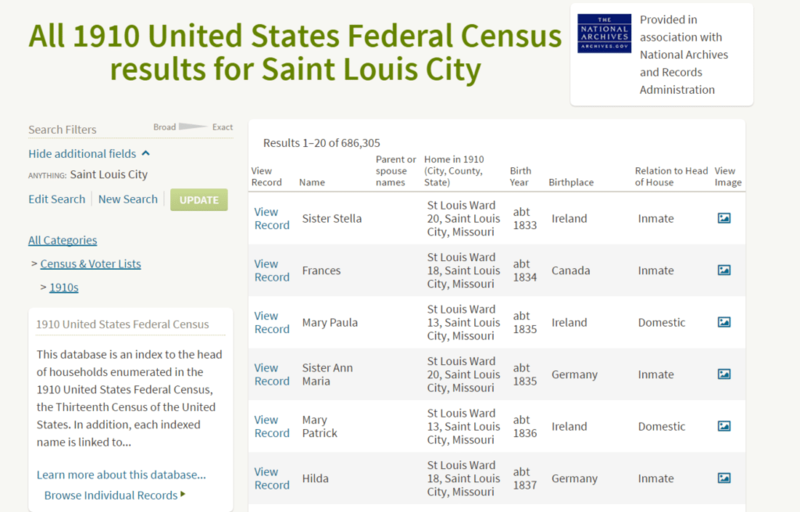 Saint Louis is listed as Saint Louis City in the 1910 census. 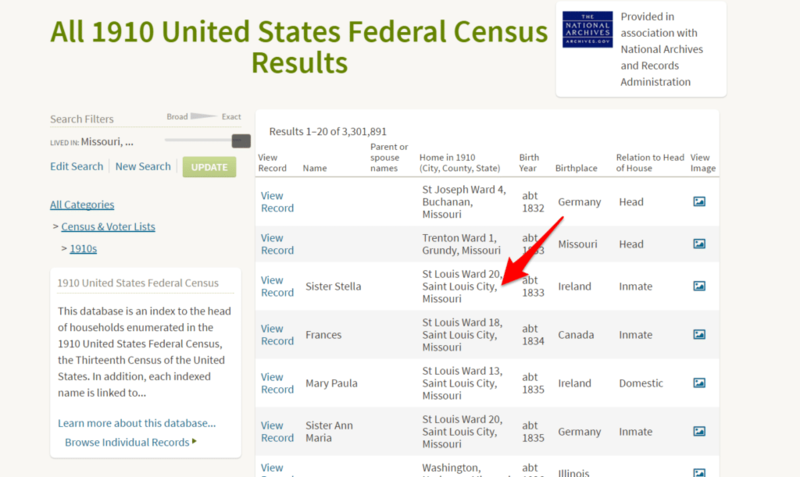 You will see in the screen shot at the start of this post that Ancestry never suggested that as an option, and even when we type in the name ourselves, Saint Louis City, it still does not suggest it. It doesn’t suggest it as an option at all until we get to the state part. We go ahead and type in this place – Saint Louis City, Missouri, USA – and make it exact. We don’t search for anything else because we want to verify that Ancestry will now pull the correct records for this place. But now we get over 3 million results. We know the population of the city was around 690,000 in 1910 (based on Wikipedia data) so we are obviously getting far too many results. And we can also see that many unrelated locations are still showing up. Next we try searching for just Saint Louis City (removing the state and country) and making that exact. Now we get about 2,000 results – not nearly enough and none of them seem to be our location. We’re going to have to get creative. Let’s bypass the location field altogether and place our location directly in the keyword box instead. This is found near the end of the form. We’ll make it exact. For this to work we must make sure we have spelled the location exactly as it appears in the record collection (this could be a city, county or parish, or even a specific street or ward depending on what we are looking for). We must also remember to remove the locations we already entered in. 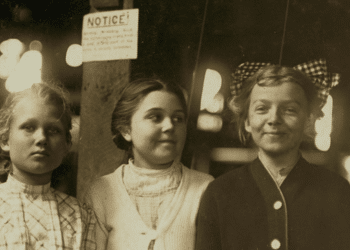 When we conduct this search, we get nearly 690,000 entries – which matches perfectly with what we know about the population of that city in 1910. 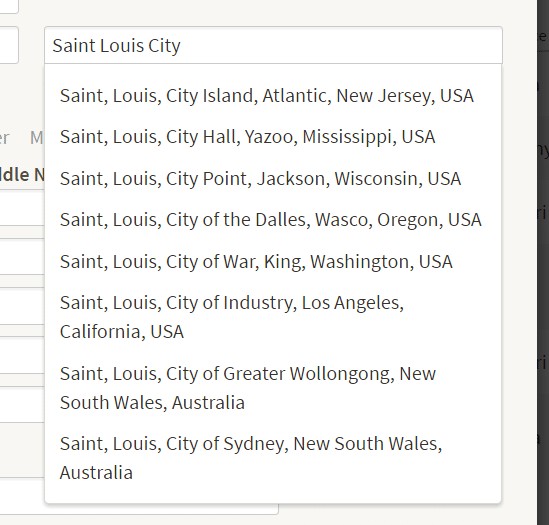 Every entry shows a person who is listed as living in Saint Louis City and only Saint Louis City. We have finally achieved our goal. 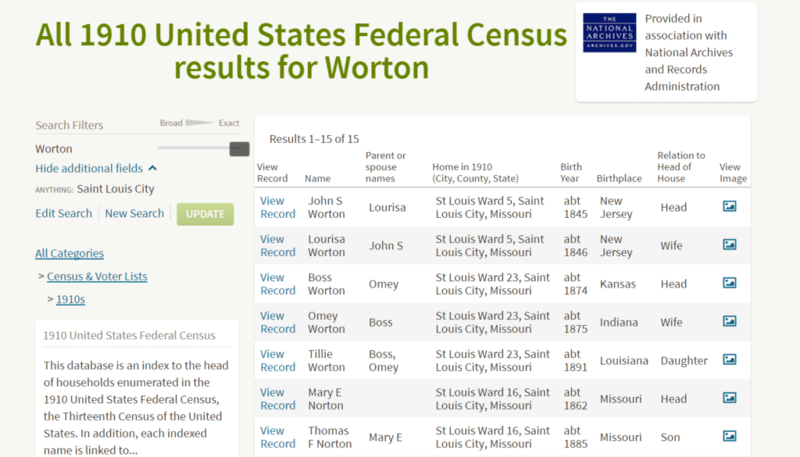 A search for the surname Worton with this keyword in place brings up the records we were looking for originally – Wortons living in Saint Louis only. The first record is a match to our ancestor. We were able to find this record finally because we were searching ONLY in Saint Louis City and there were only 15 Wortons living in the city at the time. Our record came up number one but, even if it had not, we would have been able to easily browse through the results to find a match. We found this record even though Johnson’s first name and his wife’s first name were different than what we had in our records. While this record did not show up in more general searches limiting ourselves to a specific city, and knowing how to properly sort by that city, allowed us zero in and find what we needed. We could have easily tried additional name spellings if needed as well. You can now see how easy it would have been to miss this record if we had not taken the time to figure out what was happening with the location. 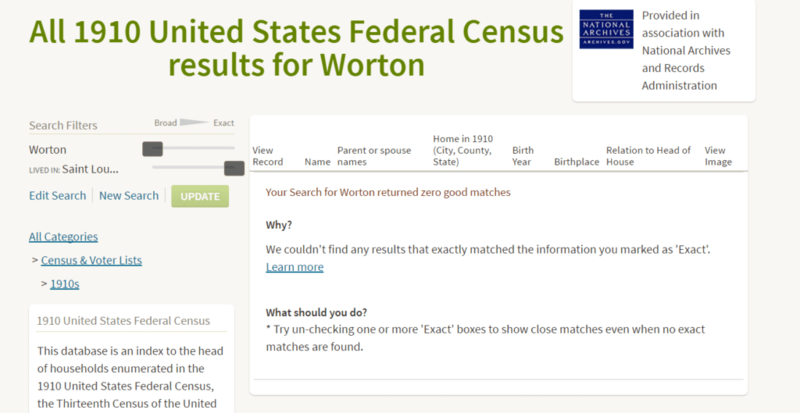 We may have easily assumed – as our initial searches showed — that there were no results for Wortons in that location and missed this record entirely. If we had been using the All Collections form or the Census and Voter lists category we may not have picked up on this issue at all because our results would have been mixed with so many other collections – each with different naming systems for places. This is another reason to try and use individual collections whenever possible. This example illustrates the importance of understanding the record collections you are searching, the limitations of Ancestry’s autocomplete and search algorithm and the importance of being flexible in your search. When searching a record collection, whether you are using exact or inexact locations (or other fields), take the time to make sure your locations match those in the collection you are targeting. 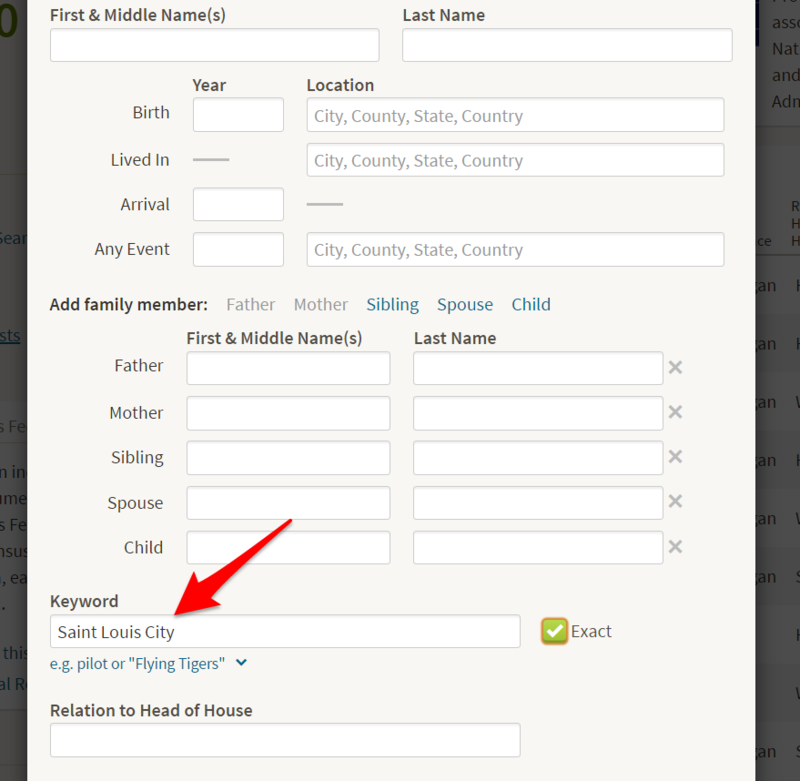 Don’t count on Ancestry’s autocomplete and use the keyword box if you need to get an exact match. This is a good time to note that, especially with locations, using the correct search field is important. 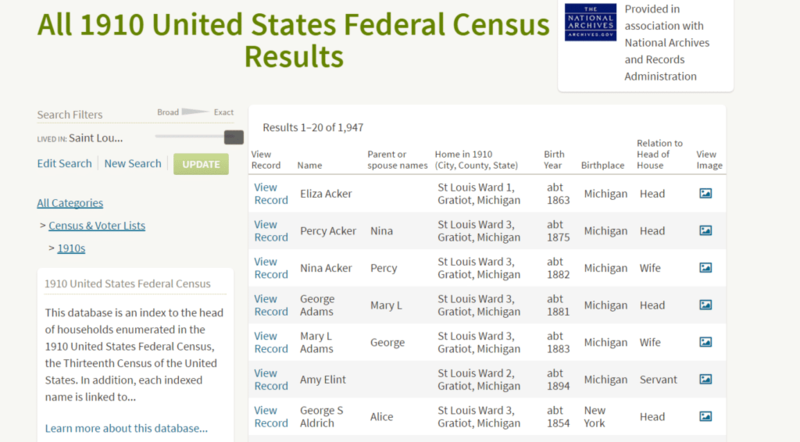 Ancestry often offers several location fields that seem related (such as Lived In and Any Event) but each has benefits and limitations that will change your results. This is the end of the lesson preview. 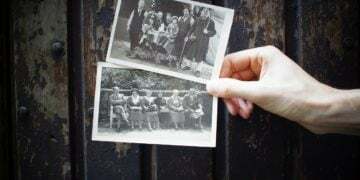 You can read the rest of this lesson, which includes more search tips and a hands-on activity, and view 20 additional Ancestry.com lessons by registering for the self-paced Ancestry Crash Course. 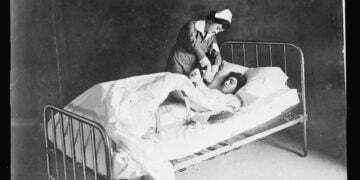 I was with Ancestry for several years, and was always aggravated by what I knew personally, but could not get Ancestry to cough up. On occasion it would cough up some of it for verifiably putting in my tree, but I always wondered why it didn’t give that to me a dozen searches before? I finally left Ancestry about 3 years ago, and took a hiatus from genealogy, I was so disgusted with the whole scenario. 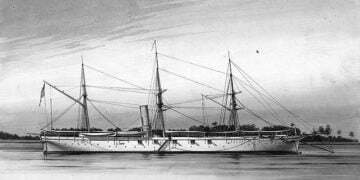 I am starting to get back into it, but am staying away from Ancestry “with a 50 foot pole” so to speak, with how I was so disgusted from the years of couple/several hundred dollars a year and how aggravating it was getting enough info out of them to be worthwhile. I always thought it was me until I reached a point I realized it just could not be, as things were not adding up. I always use more than one database provider too. 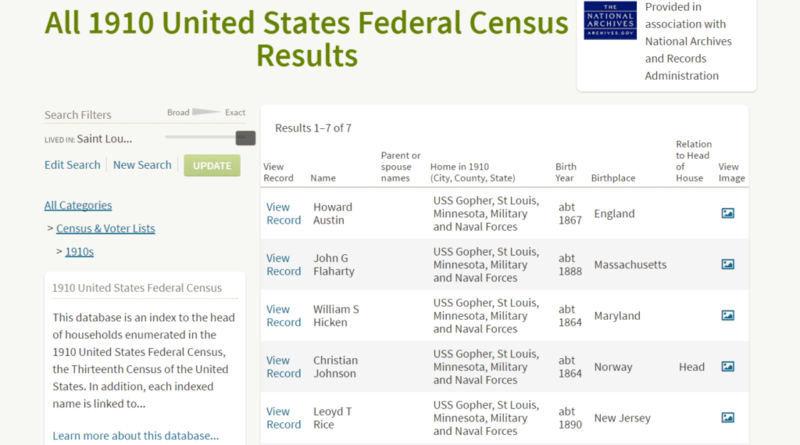 I did a simple search on familysearch.org, a free database, using their basic search limited only by 1910 Census in Missouri and John S. Worton was the first one on the list. Might be easier to go over there before you go to all the work listed above. Why does the box with the heading St Louis City cover up part of the text? This article deals with my main frustration with Ancestry, in trying to narrow down a search, I get no results at all. Except your example seems to cover up part of the explanation, which isn’t helpful. Wow, and here I thought they had a team of newbie transcriptors when it was an OCR machine trying to read old fashioned style writing all along, no wonder! The first 10 years or so of business it wasn’t this way, search was more normal. Now, it’s insane and your article exactly nails it. Thank you so much as I always like to know reasons why things are they way they are so I can figure out workarounds. This shows me I will have to re-research a lot of people all over again using this slower method of checking all the bases separately. The good side of it all is that this gives hope of discovery, yay! When they switched over to Amazon managing their database, I thought that was the issue; I guess they did a lot of reorganizing their methodologies at the same time. Getting so many records too fast, trying to stay above the competition has really hurt them as people are exploring other avenues when they can find the information easier elsewhere. This whole situation proves robotics is not the all in end-all. Wow! What a difference knowing this can make. I was at the point of giving up on Ancestry due to the number of times I was getting such crazy responses for my searches. Could not, for the life of me, understand why I would put in a location and get records for so many far-fetched and unrelated places. Why bother putting in a location? Hopefully, now I can stop wasting my time. On my computer your illustrations are covering up part of the text. Don’t know why — I don’t usually have this problem. I’m using a MacBook Pro and Foxfire. Thank you. I have been using Ancestry since 2012, Never knew how to properly use the search. Page after page of results can be annoying and unproductive. Thank you for a wonderful article that clearly demonstrates how Ancestry search fields should be used to get the most out of them. Sometimes it needs a lot of time, patience and the ability to think out of the box, to find the records you need. How can I get a free DNA test? Well written article. I have frequently come up against the kinds of problems mentioned above by Lisa. I have found records clearly read by a machine rather than a human being so many times I’ve lost count (things like “Denver Jack” who lived in “Weinstein, Colorado”). 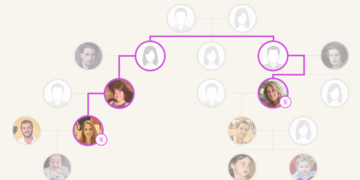 It’s truly galling to see such sloppiness on the part of Ancestry when I cough up $30 a month to get some accuracy. At those prices, one shouldn’t need a separate course to figure out how to avoid the problems caused by Ancestry’s insouciance. THANK YOU so much for this tip!! You are exactly right regarding the $30.00 a month we do spend on a lot of mistakes they’ve made. I APPRECIATE the fact that you offer a lot of awesome tips… with NO charge I might add! Thank you again!! This explains a lot. Thank you!! Sorry, this is going to be lengthy. Location Traps is one of the best understandable, how to do a search, articles written. I try to stop autocomplete from filling in for most of my searches and acceptances of a hint, as it’s frequently wrong. As an example, for the past 18 months, I’ve written several comments and sent error reports on my sister’s US Cemetery and Funeral Home Collection and US Obituary Collection as the inept transcribers 1) selected the first city that came up for one record (multiple states with the same city name), and 2) listed the correct city and state, but came up with the wrong county. In addition, the incompetent transcribers listed a deceased infant brother as our father, didn’t list our mother, and listed nieces, nephews, a brother and his wife as her children. If you’re only going to produce badly truncated records, don’t list it at all. After a year Ancestry finally listed the correct city as an alternate fact on one record, leaving the bad info showing first. I’m not holding my breath for them to make the fixes. I’ve seen the same type of careless transcriptions on multiple other records, not just the two mentioned, and although not keeping close track, fairly sure I’ve submitted at least 400-500 corrections so far this year. Do know I sent corrections for 26 records in one 3 day period. Believe I have a fairly good understanding on how Ancestry’s algorithm program works, but have come across numerous instances where an individual’s hints are for the wrong states or counties, with only the name of the searched for individual spelled correctly, and everything else wrong. Instead, the person was living in the same place all along, but with a mis-spelled surname. Have noticed as I post the correct information and other people select it, the algorithm resets the search. The section written about searches and too many results and then no records is great. Very frequent occurrence. Thanks for pointing out how Ancestry causes needless confusion and how to go about circumventing their poor cataloging and search procedures. When necessary, I’ll do searches based on sounds like first name only, city, county, state, spouse, parents, children, and if that doesn’t work, drop the city and rotate through family names. As your article pointed out, this wouldn’t have worked for the 1910 St. Louis City record, and look forward to trying your method for the next “not locatable” family. City Directories also make a good substitute when trying to prove location and nothing you try to locate a family seems to work. Then you can use that old standby, look at the census one page at a time. Now if you could only explain why, when I do a selected state only search for an individual living in, I think, 1870 Pennsylvania, how New York comes up instead. Or if you’ve already written an article on this phenomenon, how to find it. Are you using the global search form? Or are you searching from one of the category or database-specific search forms? If you are on the global form and using the “Place your ancestor might have lived,” then you are actually doing an “Any Event” location search. That will find any reference to any location within the potential lifespan of the person you are searching for. If you are using the “Category Exact Mode” search preference, then the form offers a date range along with the “Lived in” field. That date range is, at best, misleading. 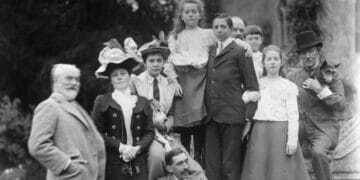 If you put in 1870 to 1880, that will find any record that mentions any event between 1870 and 1880 – birth, marriage, residence, death, whatever. It does not limit to just the residence event. If you expand the Global Search to show more options and use the Lived In event and specify a year, then it should only return records that have residence event for that year. If you choose 1865 as the Lived In event year and mark it exact, then you won’t get any hits in the 1860 or 1870 censuses. And if you are already doing this, and I am just parroting what you already know, my apologies. But I have seen many get tripped up by this. This is an excellent tip and very well-written. Thank you. Thank you, that is extremely helpful information!